It's all in the detail! This Beaded Prague Hornschurch Ivory door includes a fine slipping detail to create an intricate panel mould. 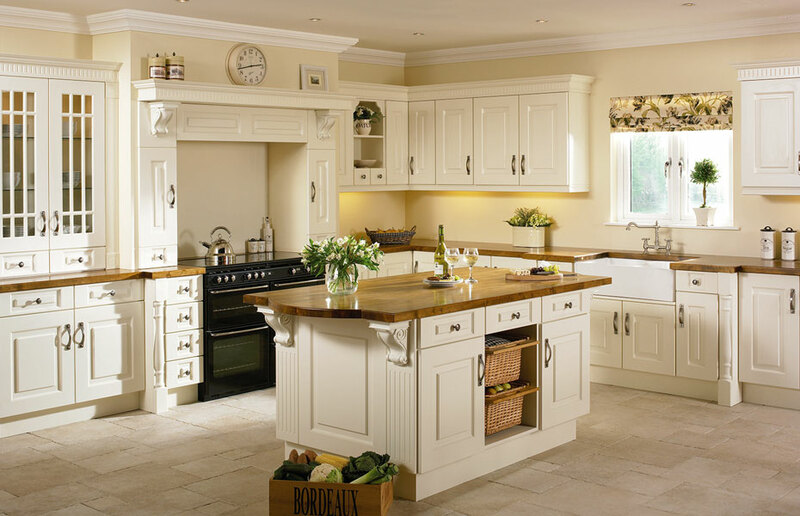 Beautiful gun barrel pilasters, corbels, and fluted rail cornicing all add to this elegant, classic kitchen. With its Cream decor and tumbled marble flooring, the overall effect is light, sophisticated and inviting. 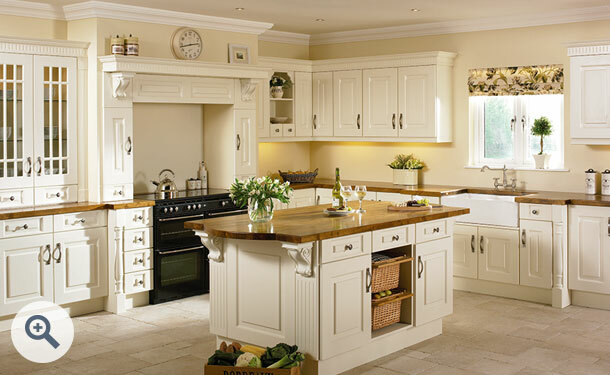 For those preferring to avoid the ongoing maintenance of a hand painted kitchen, this offers a practical alternative. Click the button to purchase a Sample Beaded Prague design door in the Hornschurch Ivory finish.